Samoa is an independent country in Polynesia, located in the south of the Pacific Ocean, comprising four inhabited and six uninhabited islands. In this country, which remains largely rural, cultural practices founded on religious beliefs still govern much of the society in which Samoan children grow up. The Samoan economy has always relied on agriculture. The majority of the rural population depends on the land and the sea for both food and income. Thanks to good economic performance in recent years, annual per capita income reached 5,038 tala in 2003, a figure that has enabled Samoa to leave the category of « least developed » countries, according to the United Nations scale. The Samoan economy, however, remains very vulnerable, as it is left at the mercy of natural catastrophes (in particular cyclones) and the slowing of the New Zealand and Australian economies, from where a large amount of capital is derived. Samoans place a great importance on the education of their children, as demonstrated by the level of primary and secondary schooling and literacy levels of 98%. Across the country, children up to the age of twelve have access to education thanks to presence of primary schools in each village. In Samoa, the law states that only primary education is obligatory, however for the moment the application of this law is rarely monitored. In primary school, from the first to the third year teaching is conducted in Samoan, becoming bilingual (Samoan and English) from the fourth to the sixth grades. During the seventh and eighth years of schooling, the emphasis shifts to English. On September 29, 2009 a powerful underwater earthquake generated a tsunami that hit southern Samoa and destroyed schools (primary and secondary). In Samoa, children are not sufficiently protected against the many types of violence to which they may fall victim, some of which include abuse and sexual exploitation, working in the street and corporal punishment. In the fight against such punishments, social programs targeting any person who has children in their care (close family, extended family and their entourage all play a role in caring for children) have been established. Corporal punishment is prohibited in school and any teacher found to be in breach of this risks losing his or her job. Samoa is going through a time of transition: deep seated ideas on the methods used to discipline children are evolving progressively, with bodily punishments being abandoned in favour of other forms of discipline. However teachers commonly continue to use corporal punishment. The media regularly report incidents in which children have been so severely beaten they must seek medical treatment. Finally, the legislation on child protection and civil rights and liberties often contains flaws in relation to the protection of children who have been victims of mistreatment, often at the hands of their own family. Girls are not treated as equal to boys. For example, the legal age of marriage for men is 18 years whereas it is 16 years for girls. It should be 18 years for all. It has been asked that a neutral gender vocabulary now be used in all future revisions of the law. Effectively, a masculine perspective is prominent in the majority of legislative texts. 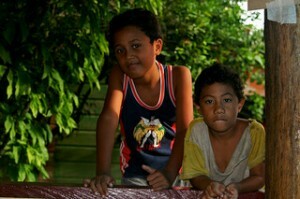 Emergency situations such as the tsunami that hit Samoa on September 29, 2009 put Samoan childrens’ health in peril, making the very susceptible to illness. Mass vaccination campaigns were due to have taken place. Progress still needs to be made, for example, concerning childhood anaemia. In Samoa, 61% of children aged 6 to 23 months, 23.2% of children 2-4 years old, 10% of those aged 5-12 years and 20.7% of adolescents aged 13 to 19 are anaemic. In recent years however Samoa has developed its health services: there is universal access to primary healthcare, the quality of housing, water and sanitary infrastructure is satisfactory, as are vaccinations and maternity and infant healthcare. All children aged less than six years old receive free access to healthcare. The primary objective of the health sector is to guarantee fair access to quality care, with a particular focus on primary health care for all Samoans. In parallel to modern medicine, recourse to traditional medicine is strong in Samoa. Traditional medicine is administered by taulaseas (chemists) and fofos (masseuses). In villages, traditional healing methods play an important role in childrens’ healthcare, especially for newborns, who are delicately massaged or given plant-based baths. In Samoa, child labour is subdivided into three categories: work in structured sectors of the economy, work in semi-structured sectors and informal work. The prohibition of child labour under the age of 15 must be enlarged so as to equally encapsulate those children in informal work, who fall outside current labour legislation. Some 4,000 youths leave school each year and must be integrated in the work place. While up-to-date unemployment data is unavailable, it is clear that a number of these school leavers are unable to find employment in structured sectors of the economy and are thus forced to emigrate or to work in informal sectors of their semi-agricultural villages. No children’s court, nor juvenile re-education centre, exists in Samoa. As this situation leads juvenile delinquents to be placed in the adult detention system, judges often prefer to keep juvenile offenders free, but under surveillance. Nevertheless, since 2003, things have changed and children are now being detained separately from adults. In 2001, 100% of the population described themselves as having religious beliefs and 99% of Samoans defined themselves as Christians. Cultural and Christian principles thus play a very important role in childhood education. 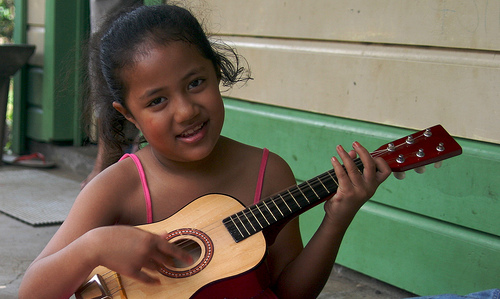 In Samoa, children are seen as the future of their family, of their community and of their nation. In this way, they are seen as a divine blessing. Families, as a result, are generally very protective in regard to their children. However parents’ hopes and expectations of their children grow as they do, and this can become excessive and oppressive at the age of puberty. In the case of a family rupture, it is common that uncles, aunts, grandparents or other relatives look after the children. 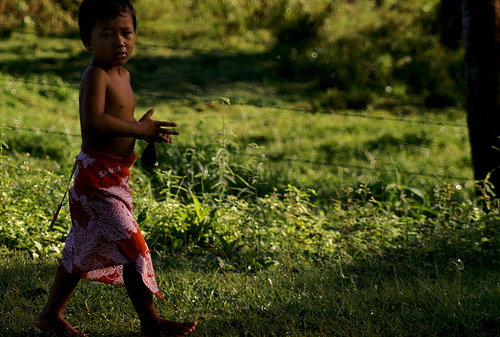 The « security net » thus offered by the Samoan culture is an important means of child protection, and is especially notable in the absence of a Western style system of social security.